A gorgeously crafted travel bag bulging with testosterone, the Ernest Supplies Roll Up Tool Kit is forged from water-resistant military grade waxed canvas with 100 per cent leather trim, all hand-sewn in California. 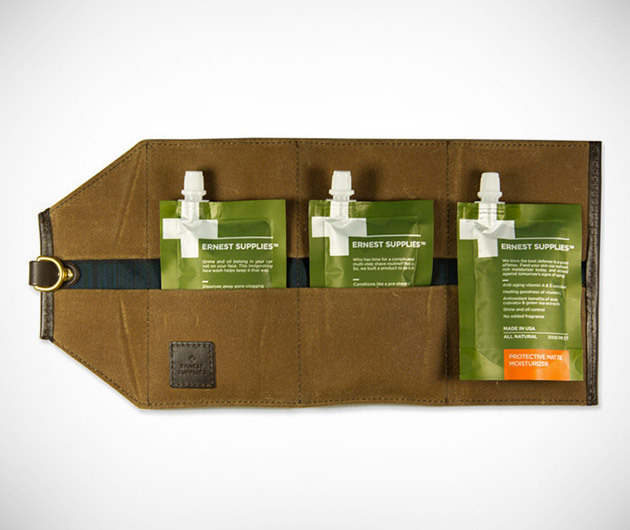 Custom designed to specifically hold Ernest Supplies pouches, inside you'll find a protective matte moisturizer, cooling shave cream and a soap-free gel face wash. Ideal for the gym or that weekend break.